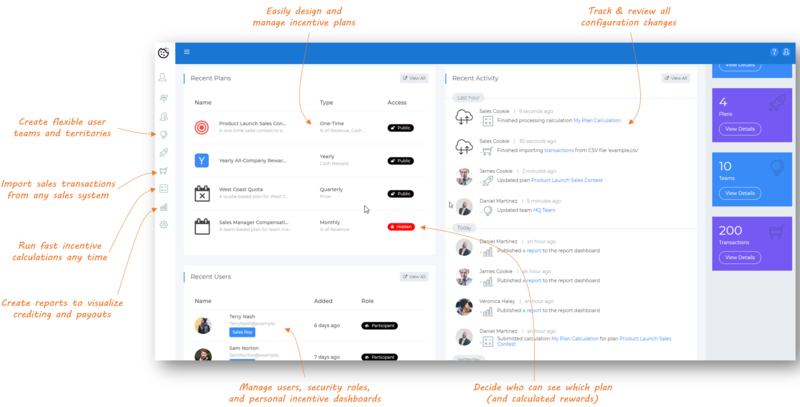 BELLEVUE, Wash. - Feb. 7, 2019 - PRLog -- Sales Cookie, a newly released SaaS application, helps businesses automate all aspects of their sales commission programs - from design to implementation. 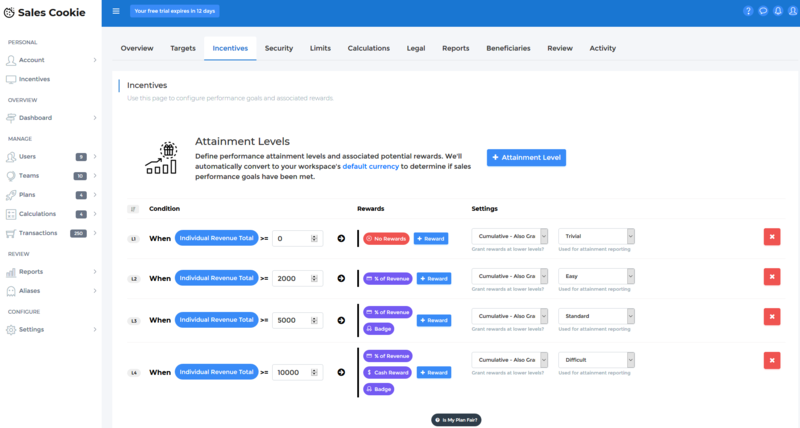 The comprehensive solution can be used to easily design incentive plans, enroll participants, resolve disputes, perform calculations, and provide online commission statements. Benefits include reduced administration overhead, fast calculations, and improved compliance. Because the solution is hosted on Microsoft's Azure platform, customers can access it from any web-enabled device. The cloud-based solution was specifically designed not just to streamline plan management but also to rebuild trust in sales incentive programs. When presented with complex incentive programs, sales representatives are often left confused about reward mechanisms, question their outlined earning potential, or spend a significant time verifying crediting ("shadow accounting"). 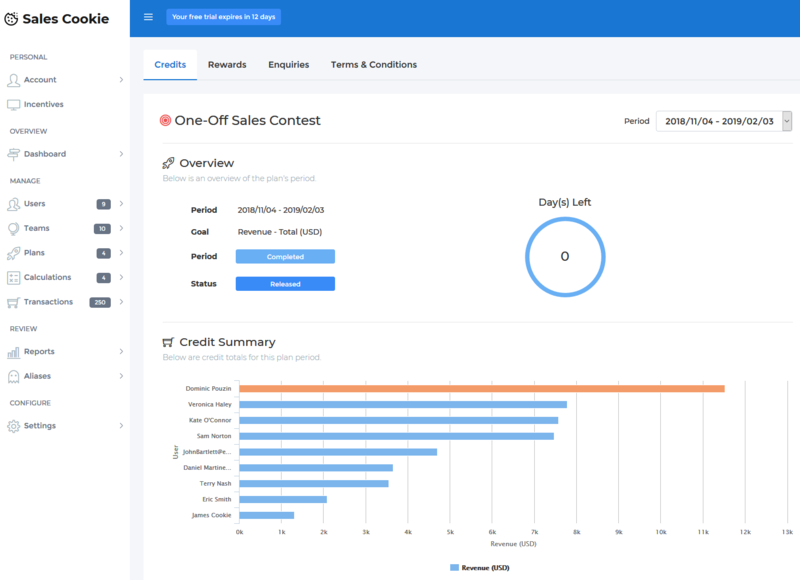 Sales Cookie was specifically designed to rebuild trust by bringing clarity to all aspects of sales commissions - including user enrollment, sales transaction crediting, reward assignment, and dispute resolution. "Sales usually is the #1 driving factor behind a company's performance, and commissions always is the #1 driving factor behind sales performance. Yet, too often, management lets faulty incentive implementations wreak havoc on sales morale. Sales incentive programs are challenging because they have many moving parts: user enrollment, incentive design, spend analysis, terms & conditions, etc. It's impossible for businesses to streamline administration of incentives without some level of automation. Sales Cookie is designed to provide automation capabilities using a modern, easy to use web interface. We expect our solution to result in significant payoffs in terms of improved employee morale, reduced administrative burden, and increased payout accuracy. We've also invested in a pleasing user experience. Our goal is to make sales commissions exciting," said Dominic Pouzin, Founder, Ninth Floor Technologies. - Reduced agility in terms of making rapid changes to incentive plans, often requiring a full round trip to deploy. - Misalignment between business goals and incentive programs due to technical limitations and forced compromises. Accordingly, Sales Cookie was designed to provide a high degree of flexibility in terms of designing incentive plans, formulating sales goals, crediting representatives, and assigning rewards. Ninth Floor Technologies is a leading innovator in the space of enterprise software and sales performance management.